Daily rental can have many advantages for a fleet: convenience for employees not entitled to company cars to use for occasional business trips and covering vehicle downtime, for instance. But daily rental can also deliver a sting in the tail through unexpected charges for damage, refuelling, cleanliness and out-of-hours collection or delivery. These issues can arise as drivers may not exercise the level of care that they do for their own vehicles as they are not seen as part of the fleet, according to John Pryor, chairman of fleet operators’ association ACFO. The responsibility for rental cars can also fall under the remit of departments other than fleet, which further results in drivers not being aware of appropriate procedures. “A lot of companies treat rented cars as being entirely separate from their fleet,” says Pryor. “For example, if an employee flies from London to Glasgow and then uses a rental car, it isn’t always seen as part of their fleet – but it needs to be treated in the same way a company car would. Pryor adds that another problem arises when rental cars are deposited in car parks and are subsequently damaged prior to collection. He describes these issues as “ongoing” for fleets. But he believes that fleet managers want greater transparency about end-of-hire charges from rental companies which will also help end any uncertainty they might have when using these vehicles. To help give fleet operators a greater understanding of this area, we asked five of the country’s major daily rental companies about their policies. 1. What is your policy on damage charges and justification? 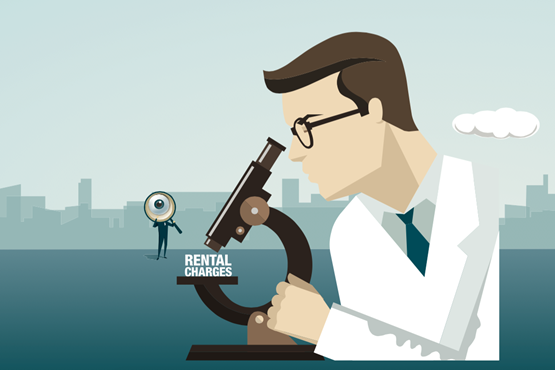 Avis: Customers are encouraged to join us at the post-rental assessment, which gives them a chance to ask any questions they may have, as well as making the process totally transparent. If damage is found, the amount charged to the customer will depend on what they opted for in their rental agreement. As standard, all customers who booked on our UK website will have a collision damage waiver. With our standard cover, customers would be liable for the lesser of either the total repair costs plus a damage processing fee of £66, or an agreed fixed excess. There is a set of standardised definitions of what damage is chargeable and what is not. These are defined in the rental terms and conditions. Avis UK customers can choose our excess reduction cover for total peace of mind and assurance that nothing will be due in the instance of any damage. Enterprise Rent-A-Car: We evaluate all damage and prepare complete estimates for all repairs, rather than using a pricing matrix. These are auditable by our customers and provide total transparency and are standardised across the UK. We also employ a simple hand-held damage evaluator tool that makes it clear what constitutes fair wear-and-tear and what is damage. This is a small cardboard template with a circular hole that our employees and customers use before and after rental to assess if damage is minor and therefore non-chargeable, if it falls inside the hole, or major, in which case it will be bigger than the hole. Europcar: Our goal is to provide customers with a transparent repair process. The damage report and quotation are sent to the customer prior to any charges being made. All members of our repair network utilise Glassmatix repair estimation software, which enables quick and accurate estimating. We have also adopted the use of tablets to help manage the delivery and collection handover process for our Advantage long-term rental scheme. Traditional rental paperwork is replaced by an app, ensuring that each delivery or collection follows a consistent process. Digital images of any damage are stored at the time for both us and the customer. This innovation has helped to dramatically reduce damage disputes, with the result we are committed to rolling the process out across all rentals in 2016. Hertz: If damage is identified as part of our post-rental vehicle condition report and agreed with the customer, we will charge them in line with the current damage matrix for smaller repairs. If damage is not agreed with the customer, or is not covered by the damage matrix, we will refer it to our specialist damage team for evaluation. Our collections department will then assess the evidence and arguments provided and re-evaluate the case. If the customer is still not satisfied with our assessment, they can contact our customer relations department who will review the matter. If we are still unable to resolve it we will, where possible, refer them to an external adjudicator, such as the European Car Rental Conciliation Service, for an independent review. Thrifty Car & Van Rental: We’ve introduced a new fair wear-and-tear policy which gives clear identification on what is considered damage and what is considered fair wear-and-tear. This will mean the damage claim procedure is clear and transparent as the policy is based on the BVRLA guidelines. On repairs costing more than £150, one bodyshop estimate will be provided and is calculated using Audatex, which bases its calculations on the manufacturers’ suggested repair times and uses their recommended processes and techniques in repairing the vehicle. This system is now becoming the industry standard across the majority of bodyshops and insurance companies, ensuring that the amount charged is justified given the damage caused to the vehicle. We are able to provide a Thatcham-calculated estimate on request by the customer as the Audatex system is able to calculate by either manufacturer or Thatcham process. 2. What is your policy on out-of-hours collection and delivery? Where agreed, customers may return a vehicle to a rental location outside business hours – although not all locations offer this service. The customer will be given clear and concise instructions as to where to leave the vehicle and return the keys, dependent on location. For individual customers we also offer Avis Delivers: delivery to, and collection from, a customer’s home. When the rental agreement has come to an end, the customer parks the vehicle at their home and they will not be charged after this period, provided they’ve not driven the vehicle. We will then pick up the car from the customer’s home the next working day. The cost for this service is £20 for delivery and £20 for collection. This service is available to customers within 40 miles of an Avis UK rental location. Enterprise Rent-A-Car: Our network of 400-plus branches either open for extended hours or seven days a week, or both. This reduces out-of-hours delivery and collection costs for fleets to a minimum. We constantly assess the need to open new branches and offer longer opening hours so that we can be there when and where our customers need us and avoid unnecessary charges. Europcar: We aim to deliver every vehicle within a two-hour window and have the ability to deliver on the same day of booking, even when the reservation is received after 4pm. Europcar aims to offer its fleet and corporate customers as much flexibility as possible with regard to when they can receive and return their vehicles. The charges applied for out-of-hours delivery and collection are related to the cost of extended working hours for staff and are based on the client’s specific requirements. Thrifty Car & Van Rental: We don’t deliver or collect vehicles outside our normal working hours. We do, however, pre-deliver for customers who require a vehicle outside our normal working hours for a nominal fee which is agreed at the start of the contract. The charge is levied against the rental to offset some of the standing cost of the vehicle. Hertz: In some circumstances, we can make special arrangements to meet the customer out of hours to deliver or collect the vehicle. An out-of-hours fee may be charged. Regarding returns, customers need to have our prior permission to return the vehicle outside the location’s operating hours. The customer needs to park in the Hertz car park or, if unavailable, a secure place nearby. The return details on the back of the rental terms booklet should be completed and posted with the keys, instructions on where to find the vehicle and any other documents through the location’s key box. 3. What is your policy on end-of-hire vehicle cleanliness? Off-site full valet requiring cleaning above the standard valet where the vehicle is heavily soiled and cannot be completed on site. This fee is £74. Smoking. If the vehicle has ash or cigarette butts present or smells of smoke, the fee for cleaning will be £47. Enterprise Rent-A-Car: If it was returned outside business hours or with a third party, the hirer remains responsible for the vehicle and its condition until it’s been inspected by a member of our staff. 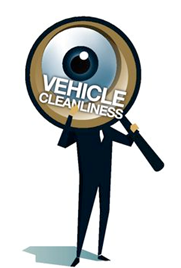 In terms of cleanliness, we simply request that vehicles be returned in a reasonable condition. We will charge a cleaning fee if required. That fee is always transparent and depends on the level of cleaning required. A typical charge could be around £60. Europcar: Customers are asked to return vehicles in the same condition in which they were provided at the start of the rental. If more than normal cleaning is required, this will incur an additional cost, based on a tiered approach Charges start from £16.67 plus VAT. Hertz: If the vehicle requires more than the standard cleaning on return, customers incur a cleaning charge. In the case of a customer having smoked in the car, we have to take a vehicle out of service for up to 24 hours. We clean, vacuum and treat the vehicle with a natural deodoriser and an oxidation process, transferring the cost to the customer in the form of a smoking charge. Thrifty Car & Van Rental: Vehicles are not expected to be returned to the same level of cleanliness as they were delivered and acceptable day-to-day usage is expected. Vehicles returned in what is deemed to be an unacceptable state are assessed individually. If it is deemed that it would take more than an hour to clean the vehicle we would get a valet company to quote and clean the car and this charge would be passed on to the customer. 4. What is your end-of-hire refuelling policy? Bring Back Full – customers return the vehicle with a full tank and there will be nothing further to pay. Fuel Up Front – customers buy a full tank of discounted fuel upfront so they do not have to refuel when they return. The price is benchmarked against local fuel stations and will be 5p below the EU Energy Commission average market pump prices. EZ Fuel – for customers driving 75 miles or less, we request a flat fee of £14.40 for cars and £21.60 for vans. Pay on Return – customers who haven’t got time to refuel, or who would prefer to avoid this, pay the cost of fuel used and a refuelling service surcharge. Enterprise Rent-A-Car: We aim to simplify refuelling costs by operating a use and replace policy. If the vehicle is returned with the same level of fuel as supplied, no refuelling charge is payable. If not, the cost of any fuel used to match the original level noted at the beginning of the rental will be charged at pump prices plus 20% to cover the costs of time and personnel to refuel the vehicle. We note the fuel levels at the point of delivery and collection rather than at the branch and measure in 1/16s of a tank, to ensure total transparency throughout. Europcar: The vehicle should be returned with a full tank, with a fuel tolerance of two litres. Should the vehicle return with less than a full tank, it will be refuelled by Europcar at the contractually-agreed rate, based on the cost of the refuelling, administration and time involved. Buy a full tank at the start of the rental and forget about refuelling before returning the vehicle. Return the vehicle with a full tank. We ask customers to refill the tank within 10 miles of the return location and bring the fuel receipt. Return the vehicle without refuelling. On top of the fuel price, we will charge a refuelling service charge. Thrifty Car & Van Rental: Vehicles returned with less than a full tank need to be refuelled prior to the next rental. There is a charge per litre which is normally pump price plus an admin fee.